The big news in the online dating world is that couples who have met through an online dating site have a higher marital satisfaction rate than those who met offline. In a Harris Interactive study, commissioned by eHarmony, the new statistics show that over 1/3 of recent marriages have actually met online. This clearly shows that more people are interested in finding a serious relationship through a digital connection. The findings were published in the journal, Proceedings of the National Academy of Sciences. The study, titled “Marital satisfaction and break-ups differ across on-line and off-line meeting venues,” is based on a survey of almost 20,000 people who wed between 2005 and 2012. Just how much more satisfied are these relationships? On a scale of 1-10, relationships from online dating ranked 5.64 as compared to offline relationships at 5.48. 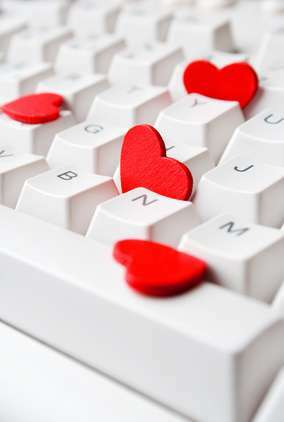 Of those who met online, 45% met in a traditional online dating site and almost 21% met on a social networking site. In a recent radio interview on AmericaWeekend, I discussed the eHarmony findings with Turi Ryder. You can listen to our radio show broadcast here. To be successful in online dating, I believe that you need to be very specific in what you’re looking for. More-and-more people are joining online dating sites for the first time, due to divorce, death of a spouse, or relationships running their course. Earlier this year, we launched Facebook Love Stories to focus on the large amount of couples who are finding love through social networking sites. So does online dating work? It certainly does, but you need to be patient and diligent in the process if you’re seriously interested in finding love on the Internet. Those who give up after a week or a month will be naysayers, but those who understand that finding love or a life partner is probably more important than finding your next job, should take the time and enjoy the journey. 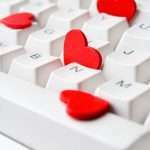 Julie Spira is a top online dating expert and dating coach. She’s the author of the bestseller, The Perils of Cyber-Dating: Confessions of a Hopeful Romantic Looking for Love Online. Julie creates Irresistible Profiles for singles on the dating scene. Follow @JulieSpira on Twitter and sign up for the free Weekly Flirt.